Autumn is visually a glorious time of year when you can feast your eyes on the changing colours from green to amber, yellow, red and orange. The temperatures might be dropping and the days getting shorter, but this seems to help intensify those deep shades, as the foliage dies. 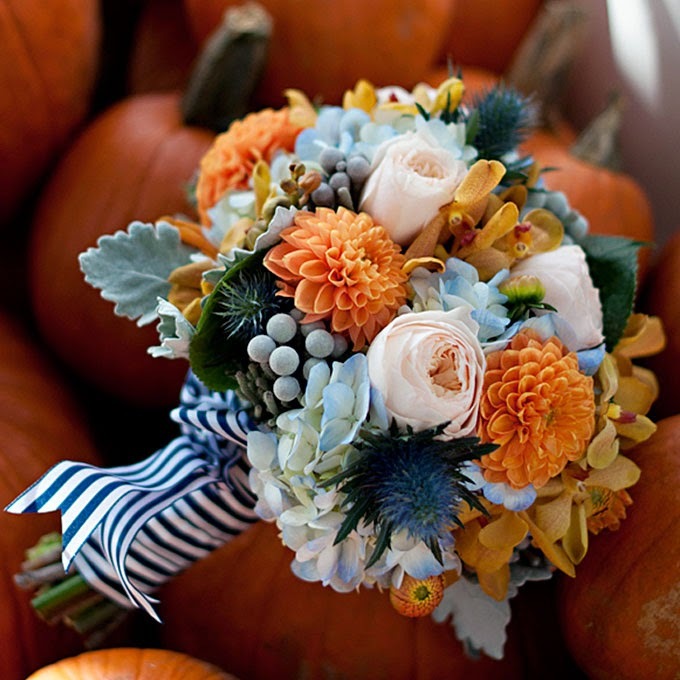 If you are lucky enough to have a wedding during this picturesque time of year it would be a shame not to take advantage of these beautiful colours and use them to make a beautiful autumn wedding bouquet. Do not try and use unseasonal flowers for your wedding bouquet, this will give you added expense and effort in trying to get a summery or spring feel to your wedding. The bouquet should incorporate lots of greens and deep browns and flowers that are readily available at this time of year. 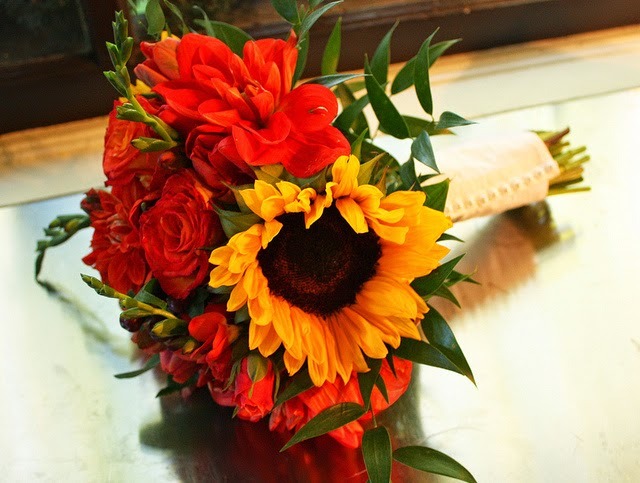 Trust your imagination and come up with some truly memorable combinations of colours for your autumn wedding bouquet. If there was one flower more popular that any other it would be the red rose, and it is especially favoured in wedding bouquets at all times of the year. This is to do with its romantic connotations and intrinsic beauty. The red rose is perceived as the embodiment of the classic style and can be used in your wedding bouquet; one should remember there are other beautiful red flowers that can add a deep splash of colour; examples of these flowers include mums, asiatic lilies, bird-of-paradise, carnations, asters and red gerbera daisies. 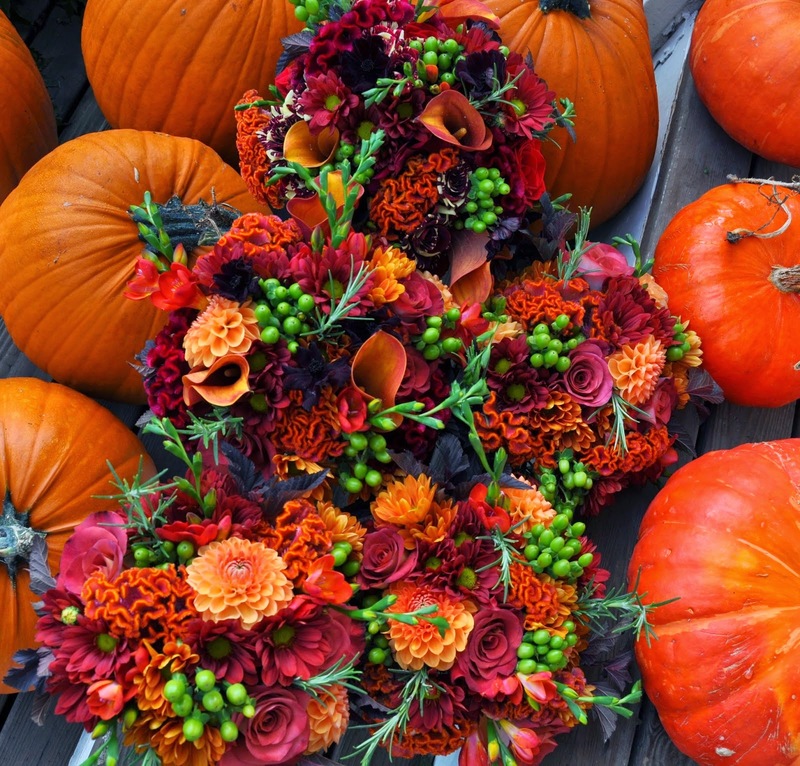 Any of these will help to give an inspired look to your autumn bouquet. If you feel that your autumn wedding bouquet is becoming too dark try and offset this by using yellow or golden flowers these will light up the dark colours and compliment them at the same time. Yellow is seen as a happy colour, especially with its association with the sun and warmth. Some good examples of flowers to use in your wedding bouquets are orchids, crocuses, sunflowers, hollyhocks, daisies and yellow roses. 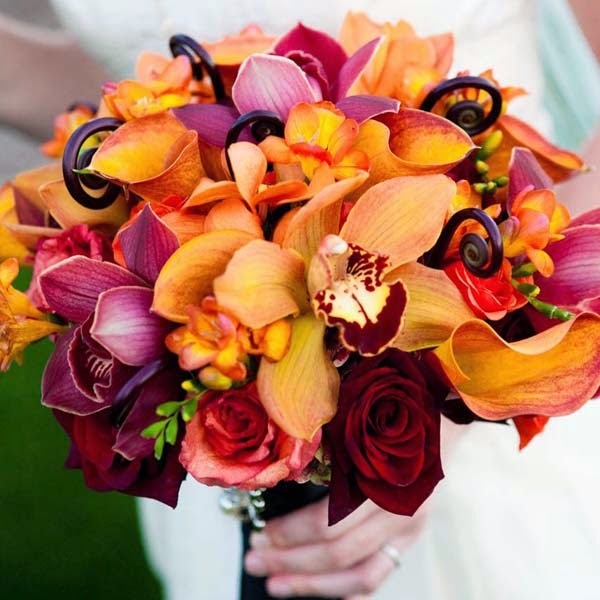 Orange lies in the colour spectrum between yellow and those deep colours in your bouquet. So if you decide on orange colours, they have a range from rust to peachy hues which will give you enough choice to visually connect the deep colours with the more vibrant yellows. 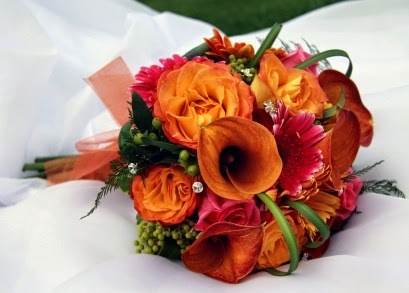 Some orange flowers to bear in mind include: tiger lilies, roses, calla lilies, orchids and daisies. Crucial to an arrangement holding together are the fillers, without the proper fillers the overall effect can be disastrous. 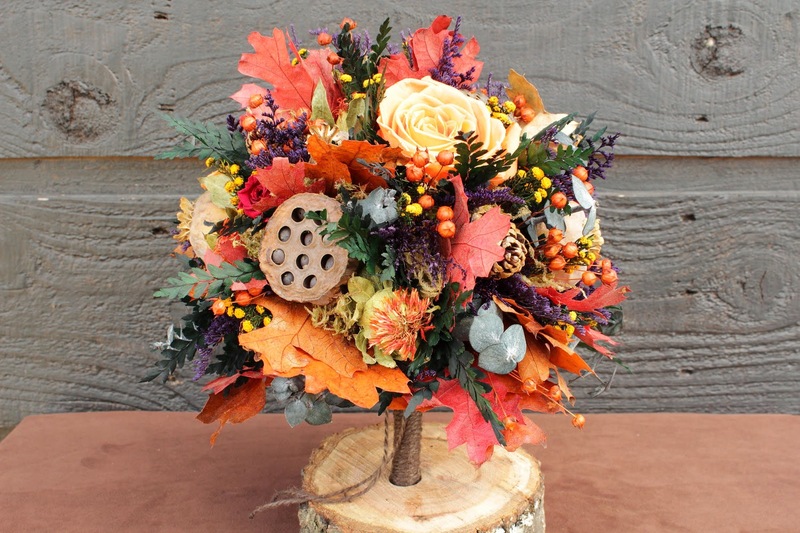 Obviously the fillers used in your autumn wedding bouquet are going to be completely different from those you would use in the summer. To be creative try and intertwine leaves and red berries to create a garland which you can use in your autumn wedding bouquet. All sorts of objects that are used in Christmas decoration, such as copper beach branches, painted pine cones and twigs can also help to consolidate your wedding bouquet and increase its dramatic effect. 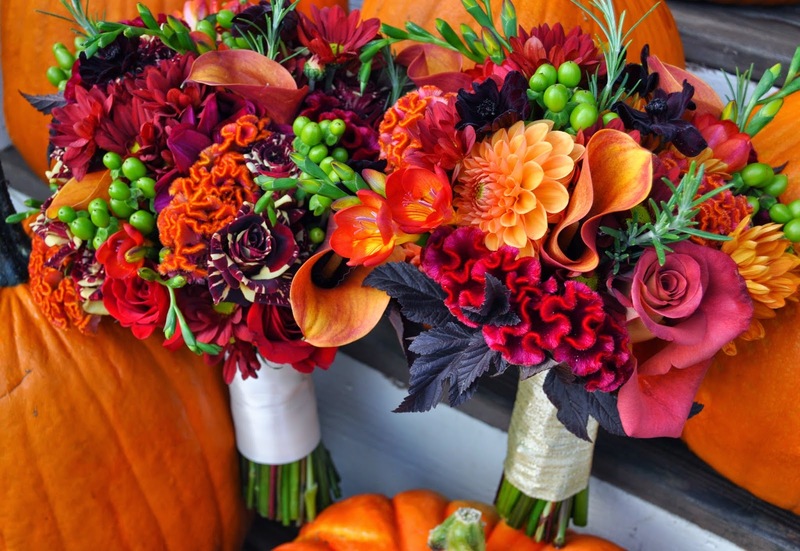 Autumn should inspire you to produce a solid and classical look, with depth to impress anyone with both its subtlety and splendour, and not forgetting a touch of whimsy, when putting together an autumn wedding bouquet.